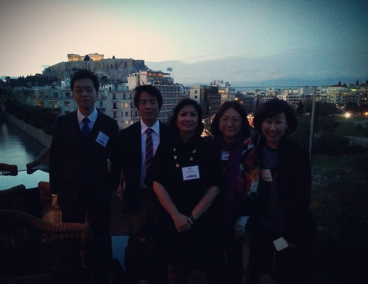 Dr. Madrunio joined other country representatives from South Korea, Taiwan, and Japan. All four were selected by the Regional English Language Officer (RELO) of Asia and the Pacific, Ms. Whitney Mirts. The RELO is based at the US Embassy in Manila. 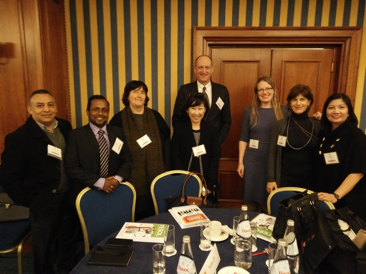 The Summit discussed critical issues and included round-table discussions pertaining to language education on at least four areas: Futurology, English in Multiculturalism, Reimagining English Competence and The Profession as a Change Agent. The field of Future Studies covered a discussion of broad, holistic perspectives essential for understanding the English language profession at present and in the future. The area on English in Multiculturalism focused on English being the ruling language that may eradicate linguistic diversity. However, the TESOL profession, in its mission to teach English, embraces the opportunity to simultaneously support multilingualism. Reimagining English Competence challenges the argument that English competence should be viewed in reference to a native or ideal speaker norm and in terms of the grammar of language. The Profession as a Change Agent highlights the view that each member of the TESOL profession must be empowered to foster positive change within a risk-tolerant culture. The summit is held under the auspices of the US Department of State.